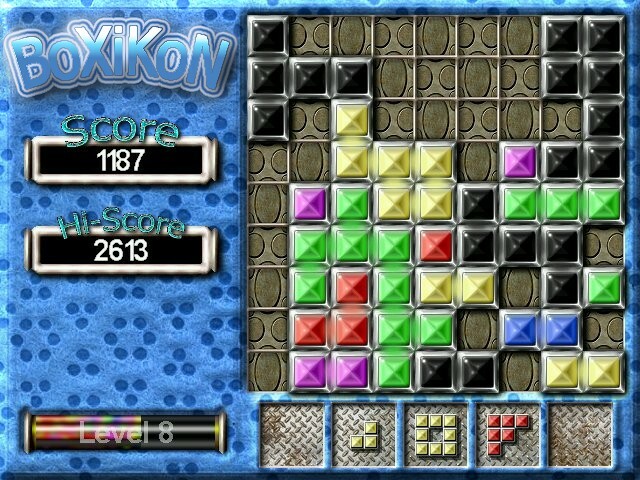 BoXiKoN is fast becoming a 'must have' classic action puzzler game! The game is very easy to learn; it will be love at first play! Simply rotate and place shapes into the grid to form solid connecting lines across or down. The solid lines are cleared from the board allowing you to continue placing more shapes! Use your skills of organization and planning to ensure you never run out of space! Sounds too easy? Give it a go! ...... Sounds too easy? Give it a go! Qweas is providing links to BoXiKoN 1.8.3 as a courtesy, and makes no representations regarding BoXiKoN or any other applications or any information related thereto. Any questions, complaints or claims regarding this application BoXiKoN 1.8.3 must be directed to the appropriate software vendor. You may click the publisher link of BoXiKoN on the top of this page to get more details about the vendor.